Lupus and fibromyalgia are rheumatic disorders that share some symptoms and can be experienced concurrently by patients. Despite this overlap, lupus and fibromyalgia are distinct conditions that every patient will experience in his or her own way. In cases of lupus, the patient’s tissues, joints, and organs are attacked by the immune system. Fibromyalgia sufferers may manifest some symptoms similar to those associated with lupus but without experiencing inflammation, joint, or organ damage or many of the other complications that result from lupus, including a vulnerability to other infections such as colds, shingles, and pneumonia. Lupus and fibromyalgia are both chronic disorders, but the latter does not cause inflammation or organ and tissue damage. Fibromyalgia is generally characterized by widespread muscle, tendon, and ligament pain, as well as specific tender points and fatigue. In contrast to lupus, fibromyalgia is not progressive and does not make the patient vulnerable to other medical problems or diseases. The pathology of lupus is better understood than that of fibromyalgia, although the condition’s specific cause is still debated among medical professionals. Unlike fibromyalgia, lupus is an autoimmune disorder characterized by the body’s immune system, turning on its own joints, tissues, and organs. 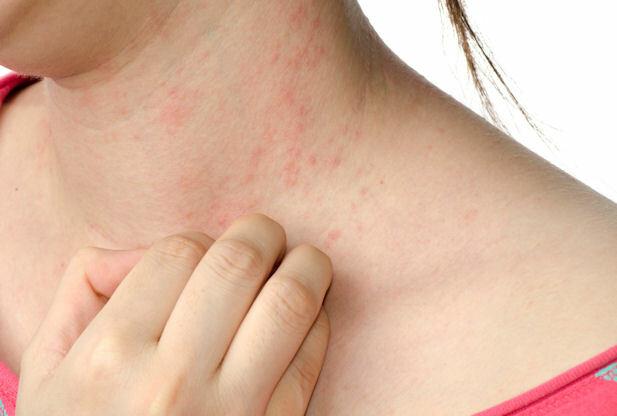 People suffering from lupus typically manifest some symptoms distinct from those of fibromyalgia, such as joint swelling, organ damage, and a characteristic facial butterfly facial rash or scaly body rash. Blood and other tests can help a medical professional determine whether or not a patient has lupus. The antinuclear antibody test, double stranded anti-DNA test, and erythrocyte sedimentation rate are all blood tests that a doctor can order to diagnose lupus. In addition, a doctor may order a urinalysis or a kidney and liver assessment if he or she suspects that an individual has lupus. There are no lab tests or imagining scans that can confirm a fibromyalgia diagnosis. Doctors who suspect fibromyalgia often eliminate similar conditions first and test the 18 specific points on the patient’s body for tenderness. A patient meets the criteria for fibromyalgia if he or she is tender in at least 11 of the 18 points and has experienced widespread muscle pain for more than three months. The treatment for lupus and fibromyalgia can different significantly. Lupus is commonly treated with corticosteroids, antimalarial, or immunosuppressive drugs. In contrast, antidepressants, analgesics, and anti-seizure drugs are typical fibromyalgia treatment options. It is important for patients seeking a diagnosis to find a medical professional that is familiar with both lupus and fibromyalgia.